Welcome to another installment of DON'T WATCH THIS ALONE!, where we review the best, worst, and everything in between in the world of horror. My choice for this week is an atmospheric, demon-filled fright-fest titled BORNLESS ONES. What are the Bornless Ones you ask and why should you not watch this movie alone? Well, it's a horror movie in the tradition of The Evil Dead where finding out that staying in a remote cabin/house in the woods is not always the best idea. Written and directed Alexander Babaev, Bornless Ones starts out with a terrified woman being stalked by a little girl who is possessed by a demon. First, we see the woman inside the house cornered and desperate, cradling a shotgun; then we, the audience, are outside the house in the darkness as the shotgun goes off and the muzzle flash lights up the windows. 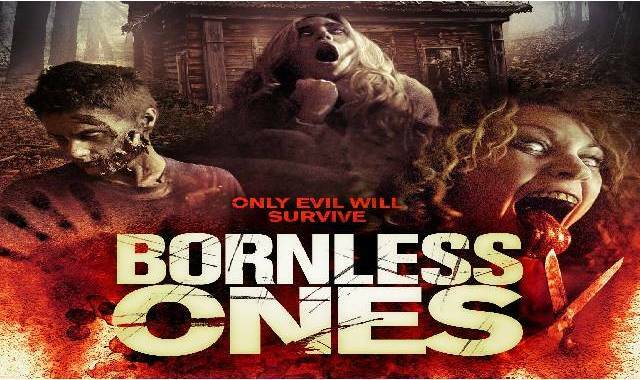 Bornless Ones is a low budget film, yet that doesn’t stop it from being a scary story seeped in the dangers of messing with demon-lore. Bornless Ones centers around Emily (Margaret Judson), her husband Jesse (Devin Goodsell), and her disabled brother Zack (Michael Johnston). All three have uprooted their lives to move to a remote home near a medical institution to better care for Zack, who has been suffering from Cerebral Palsy since he was in a car accident that killed their mother several years earlier. To help them settle in, Emily invites their friends, Woodrow (Mark Furze) and Michelle (Bobby T), to come along for the weekend. They are met at the house by a realtor who is so antsy to hand over the keys and get way, that he totally neglects to legally disclose that the house was the scene of a gruesome ‘suicide’. As the couples set about cleaning up the house, which comes complete with furniture, they begin to remove boards that had been nailed over all the windows as if to keep something out. Or, something in. As each board, with strange symbols etched into them, is removed and tossed outside, Zack, who is upstairs sleeping, becomes the target of a demonic force unleashed. A demon who claims it will heal Zack for the price of allowing it to possess him so it can ‘play games’ with the others while guardian demons stand watch outside to keep the humans trapped inside the house. 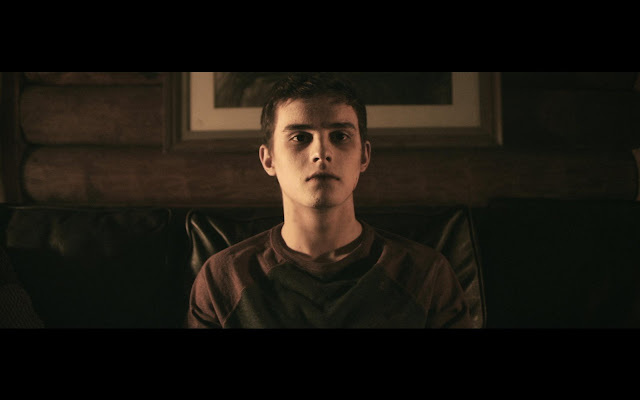 Under Alexander Babaev’s direction, Bornless Ones is very adept as using the close quarters of the house and the increasingly odd behavior from Zack to build the tension of the storyline as the couples begin to turn on each other. The actors in this movie are what really make the plot work and not just come across as an ‘Evil Dead’ rip-off. Michael Johnston in particular gives a fantastic turn as a young man trapped in a crippled body to being an agile demon-possessed terror. The demon lore and the sigils used as wards were well researched to give Bornless Ones an authentic feel to the dangers of dealing with demons. The movie is scary, intense and keeps you guessing about who will be possessed next and what hidden secrets will come out to play.